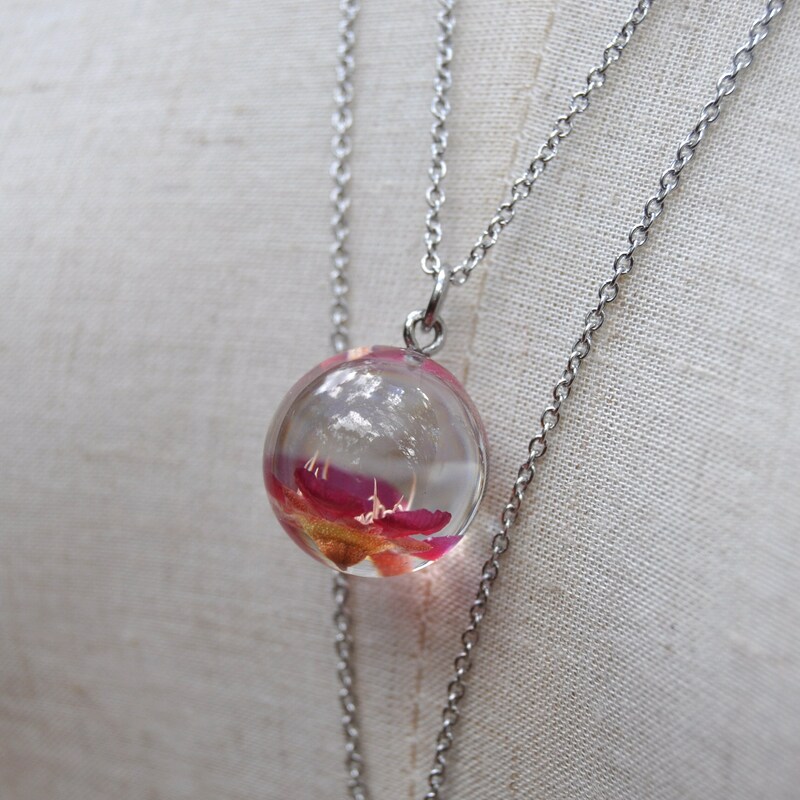 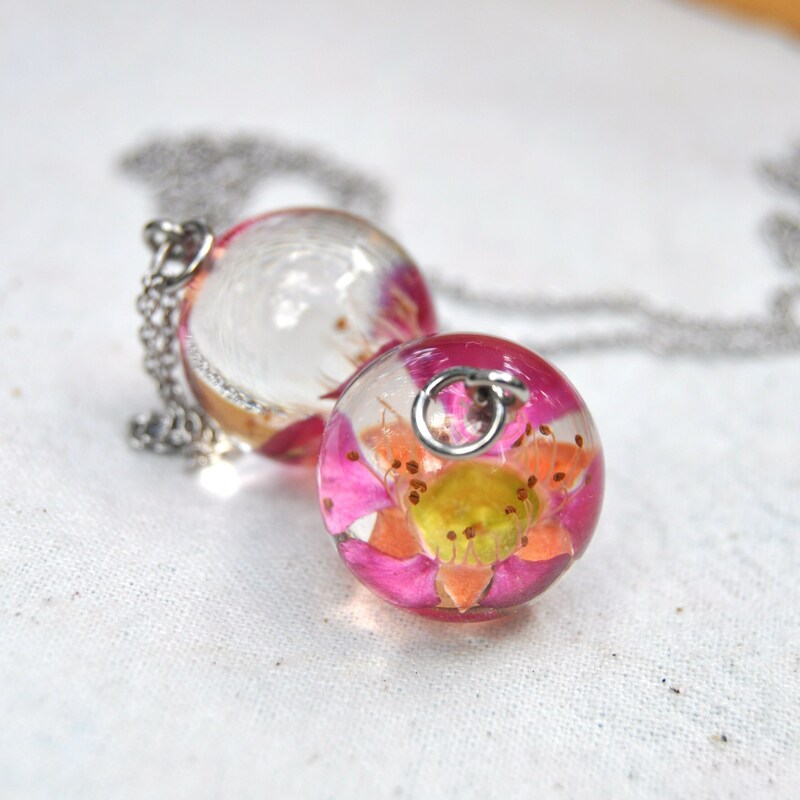 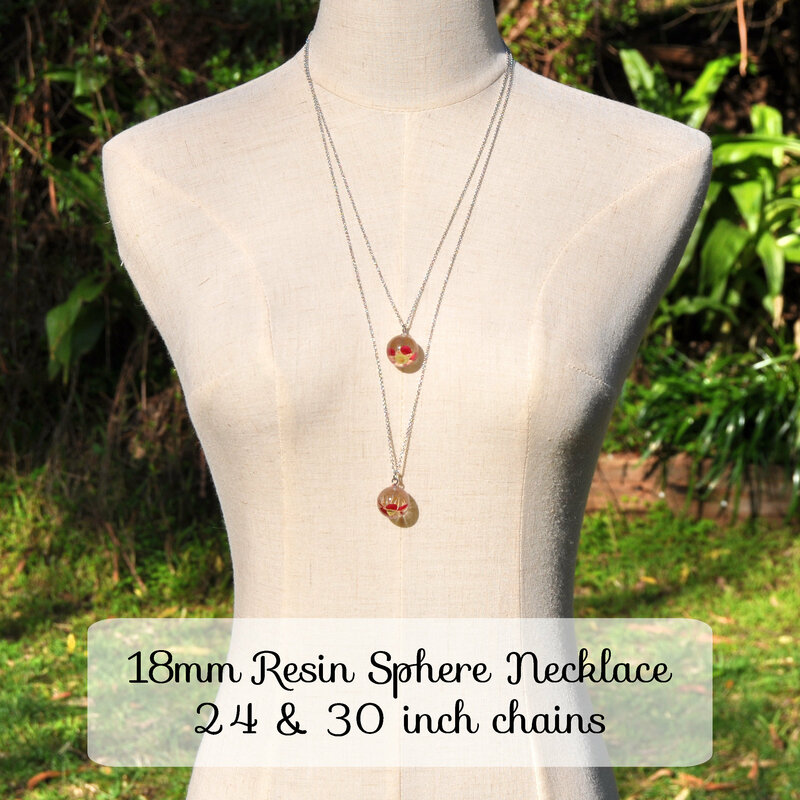 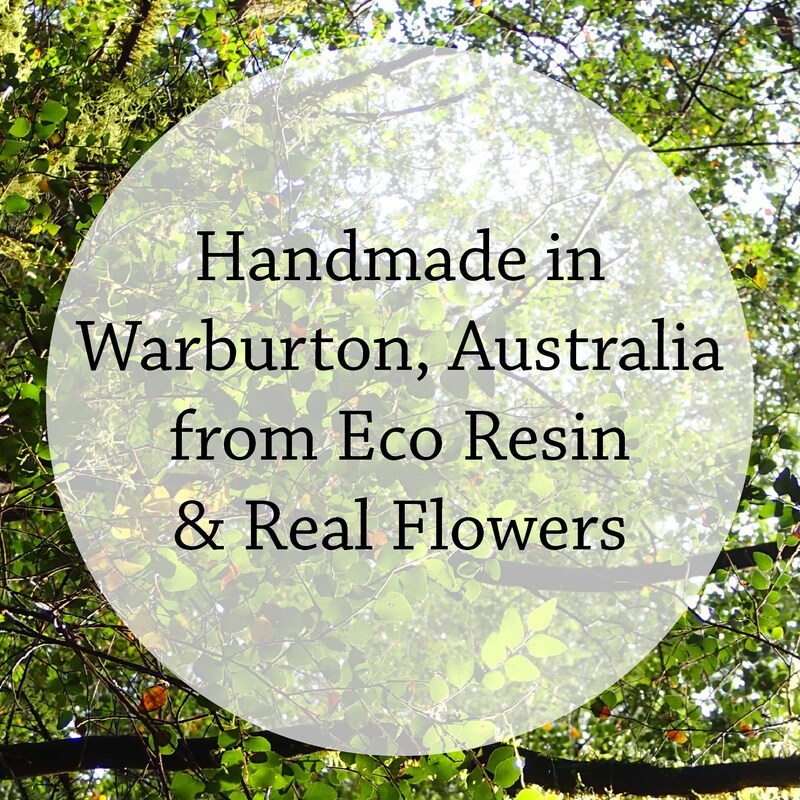 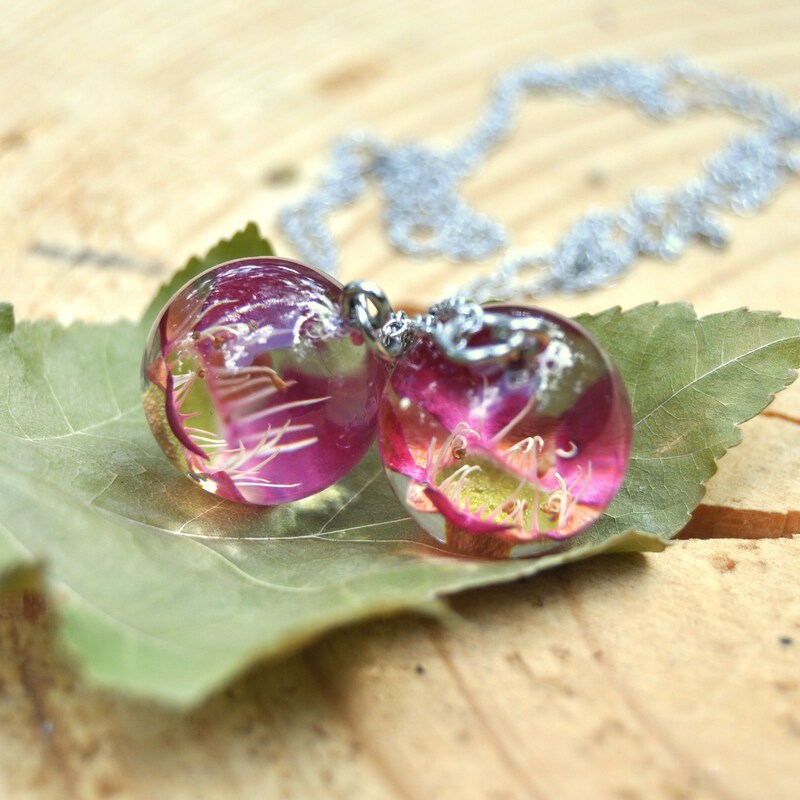 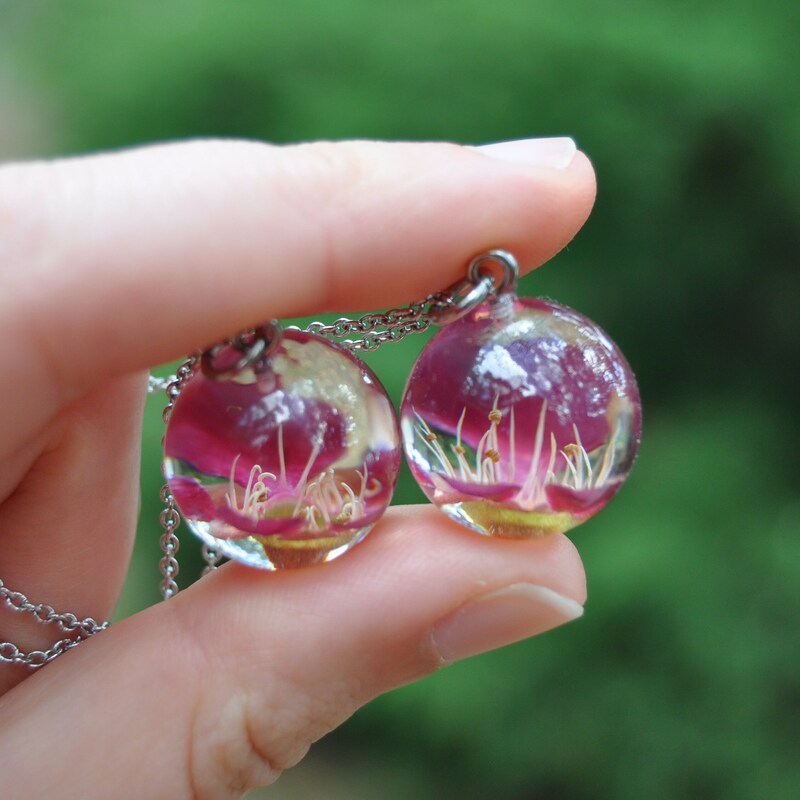 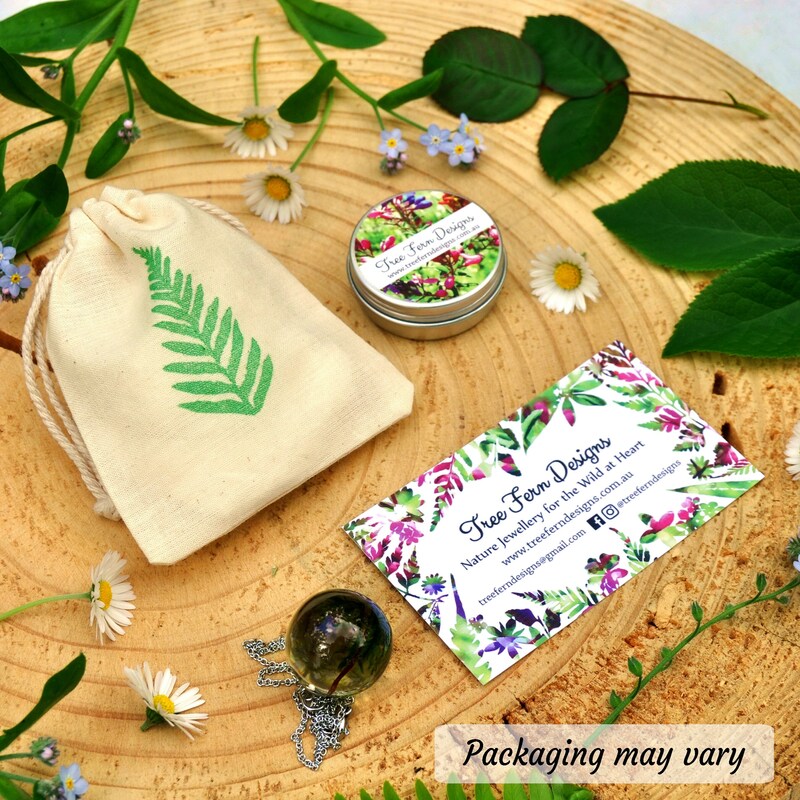 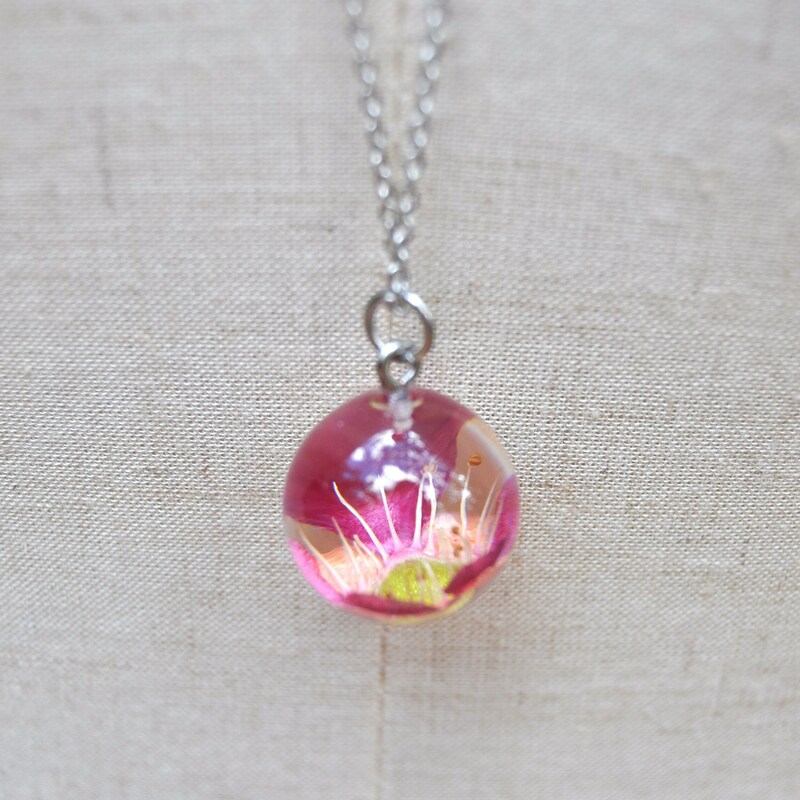 This little sphere necklace contains a single pink Tea Tree flower, in it's original, delicate 3D shape. 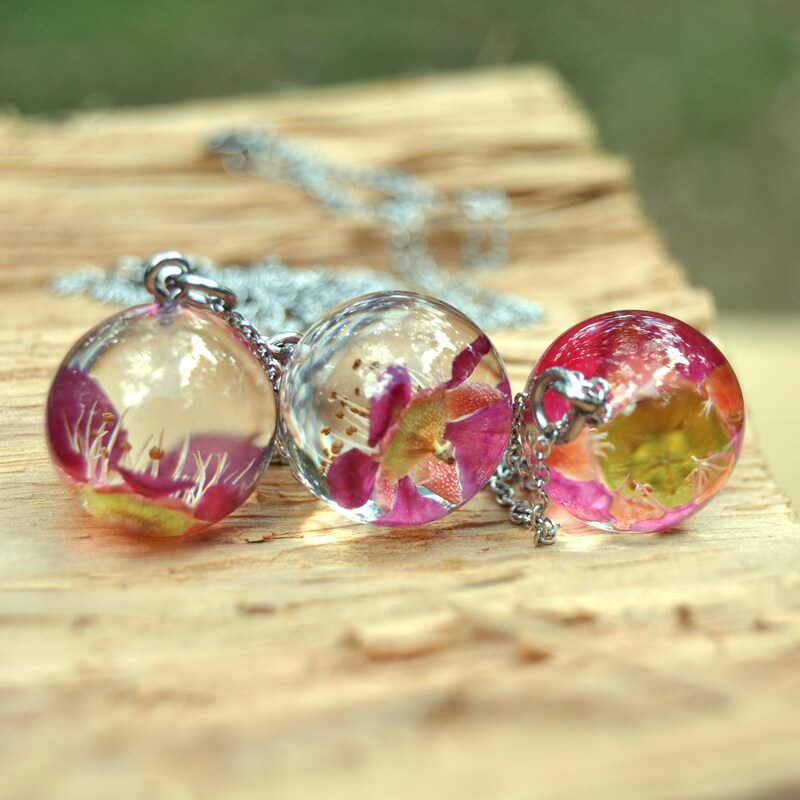 I dry these flowers by hand using a special technique that preserves both the colour and shape of the flower, so much so that I'm often asked if the flowers are fresh. 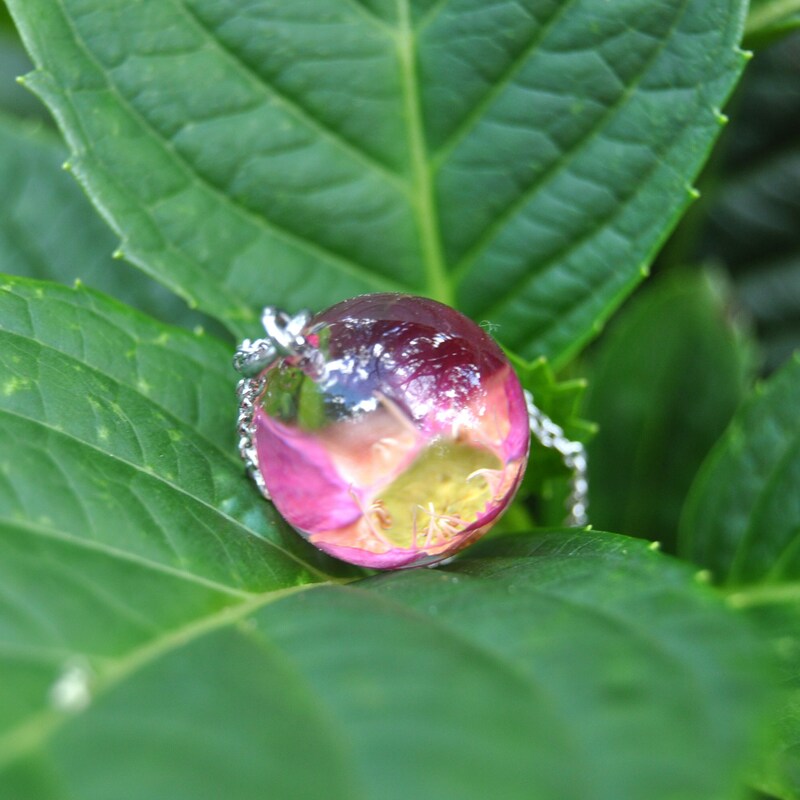 ♥ Plant: a pink Tea Tree flower - a beautiful member of the Leptospermum genus, and an Australian native.